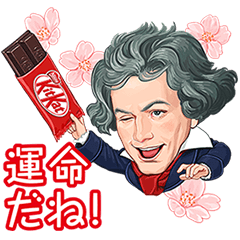 ＜LINEスタンプ英語説明＞: Kit Kat has launched awesome stickers for everyone working hard for their entrance exams. 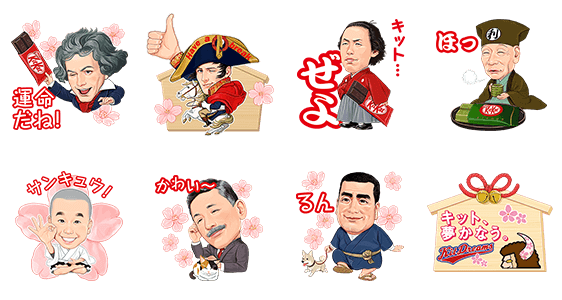 Friend Kit Katʹs official LINE account to get this unique set of characters including great achievers of history to the original Buffalo Man, mascot of the Santetsu Kit Dream baseball team. Available till January 19, 2015.